Project and Goals — E.S.Pa.C.E. The E.S.Pa.C.E. project aims to strengthen the collaboration in the scientific community, at collecting new knowledge and developing new technology and products for the development of ephemerides and reference systems for natural satellites and space crafts. This project is a collaboration linking the expertise of the main European research centers involved in space science and dynamics: ROB , TUB , JIVE , TUD , CNES , DLR and IMCCE . The main part of the activity focuses on the extraction and analysis of astrometric data from space measurements not yet applied to the system’s dynamics and to combine them with ground-based astrometric data. The project will also improve Europe's expertise in ultra-precise tracking of planetary probes and other deep space science missions. By these means, we intend to provide new models of the dynamics for several natural satellites, a description of their rotational properties, and improve spacecraft orbit determination methods for space science. 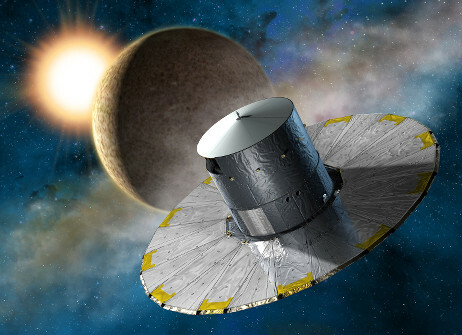 The project is organized in 11 work-packages: coordination (management), radio science, laser ranging, VLBI (Very Long Baseline Interferometry), digitized data handling, astrometry, definition of coordination reference frames and improvement of planetary coordinate knowledge, methods for determination of spacecraft and satellite ephemerides, formation of databases, data access and distribution methods, educational and outreach activities. The project will concentrate on reaching maximum synergy between all the work packages above in order to deliver to the professional and at-large communities the best scientific products adequate for the present-day cutting-edge space science and technology.